Has the weather turned a bit cooler where you are? I know that here in Texas we have stayed out of the 100° weather for the past couple of weeks. That must mean that Fall is here. And with the changing of season comes new decor for the house and a whole new set of craft ideas and fall activities for kids. There are so many fabulous ideas out there that I could find, so I had to break them down a bit. 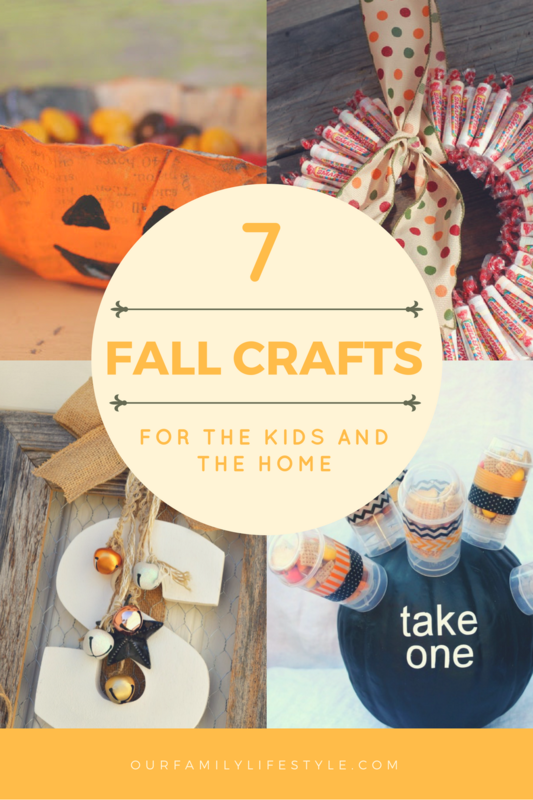 First, since many of us enjoy decorating our homes for the holidays and changing seasons, I found 7 great fall crafts for the home. A few may be more for entertaining, but the others could last all season. Take a look at the small collection I found. With my girls at home, we try to find them a craft to do at least once a week. As we study the changing of leaves and other things that Fall brings, I thought I would share a few fall crafts for kids we found. What other fall craft ideas do you have? For the home or for the kids? You may also want to check out the delicious collection of Pumpkin Dessert Recipes for the upcoming Fall holidays as well.